This tour departs twice daily at 10:30 and 14:00 and can be booked online. 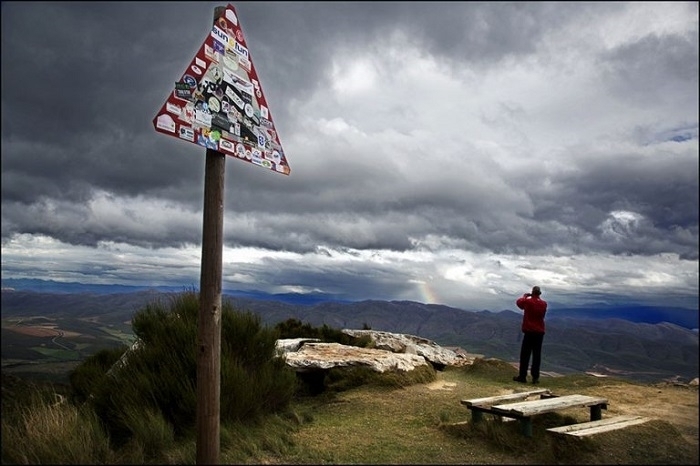 We do a fully guided tour of the Swartberg Pass with several photo opportunities. We drive over the top of the pass while stopping along the way for photo opportunities. We give you the opportunity to hike in between the fynbos – weather permitting. Our “Roosterkoeke” (traditional griddle bread baked on an open fire) are renowned throughout South Africa and form part of every meal. The addition of home-made jams adds value to this experience. *Drinks are not included in the package but can be purchased from the restaurant. his is our most popular choice! This tour departs at 8:30 from Oudtshoorn and travels via De Rust, Meiringspoort Gorge, The Great Karoo, Prince Albert, the Swartberg pass and back to Oudtshoorn. Enjoy the exciting transition in vegetation, climate and farming methods of the Little and Great Karoo. There are stunning views all along the route. 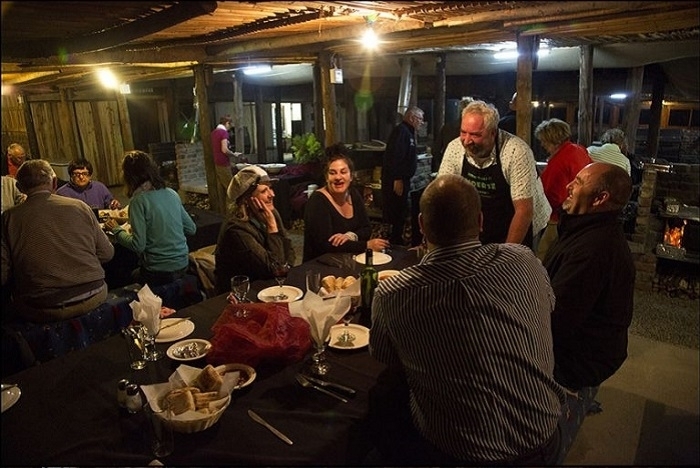 This tour includes traditional Karoo cuisine at Kobus se Gat. The Cango Caves and/or Ostrich Show farms can be included in this tour at an additional cost. This is a unique experience and not to be missed! It includes a stop in De Rust – South Africas town of the year 2011. This is a refreshing stop where we have coffee and delicious apple tart while exploring the little town. We visit the stunning waterfall at Meringspoort Gorge and after swimming or relaxing at the pool we proceed to Prince Albert. The peace and tranquillity of this little town at the foot of the Swartberg will calm you. We enjoy a light lunch at one of the variety of stunning little restaurants in Prince Albert. 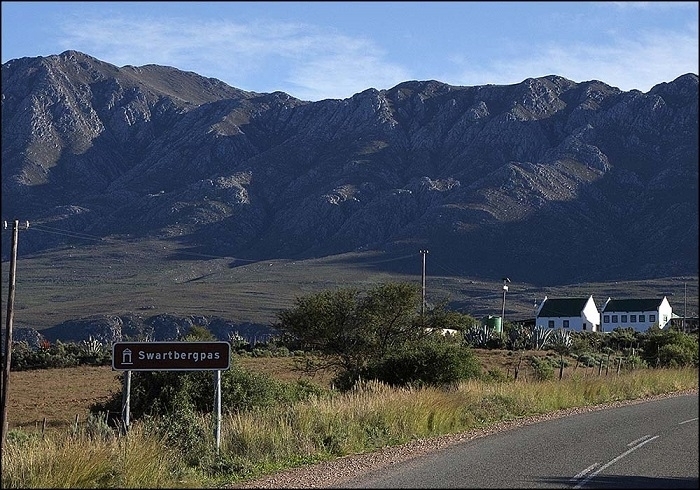 The majestic Swartberg Pass is the highlight of this route before we arrive at Kobus se Gat Restaurant for a traditional South African Dinner Fest. Sunset in the Boma is not to be missed while dancing the night away under African skies at the beat of our local Afrikaans music! Thought that we only farm with Ostriches in our area? The little Karoo is one the most diverse agricultural areas in South Africa. Agricultural activities include farming with tobacco, vegetables, Lucerne seed, wine, dairy herds and much more! A country lunch and dinner at Kobus se Gat Restaurant is included. 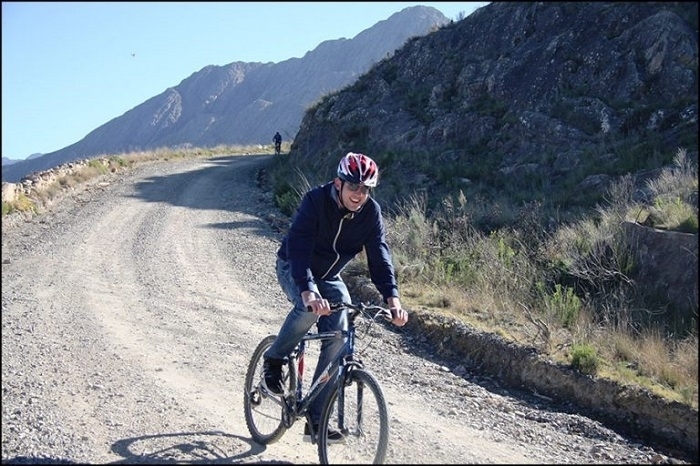 The Swartberg downhill mountain biking can be included in any of our packages at an additional cost. 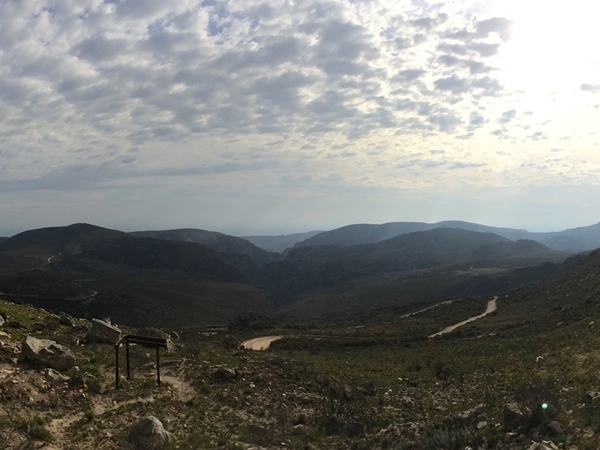 We also have several unique hiking trails in the Swartberg Mountain. We can organise a one hour to 4-day hiking experience in the Swartberg with guides and overnight facilities on request. Other customised tours are available on request. Specialized guides of the area will accompany you.